"The New Encyclopedia of the Occult" is John Michael Greer's truly encyclopaedic overview of the Western esoteric scene. The author is the current head or "archdruid" of the Ancient Order of Druids in America (AODA). He is also a practitioner of ritual magic in the Golden Dawn tradition, and a more or less "initiated" member of at least a dozen different secret societies (including Scottish Masonry). An impressive CV? Well, at least if your assignment is to write a rather extensive volume on the occult! Some entries in Greer's opus deal with subjects relatively well known to the average reader, such as Nostradamus, Atlantis, astrology and Jesus (sic). Others are perhaps more unexpected. How many average readers know that the Irish poet, politician and Nobel Prize laureate W. B. Yeats was an occultist of long standing? Charles Williams, Charles Fourier and Mormon prophet Joseph Smith are other entries that might surprise some people. As behoves a work of esoterica, there are also a lot of entries on strange and maybe even bogus subjects. 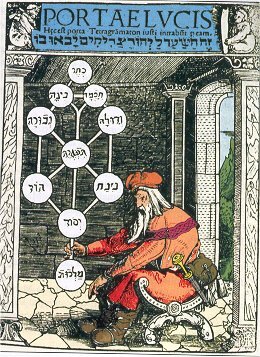 What are we to make of the supposedly Catholic "Order of Mopses", the Hasidic Druids of North America, Xaos Magic or Thee Temple ov Psychick Youth, which is said to practice "majick"? I also learned that Earth has a dark satellite ruled by the spiritual hierophant Ob, and that we should all avoid the Diakka! I'll watch my step in the future. Jokes aside, most of "The New Encylopedia of the Occult" is perfectly serious. Greer mostly avoids sensationalist topics, such as black magic, Nazism or conspiracy theory. Instead, his work focuses rather heavily on the Golden Dawn tradition, so brace yourself for page after page of entries dealing with Kabbalistic "spheres" and "paths", their angelic correspondences, Golden Dawn rituals, etc. Nothing wrong with that, per se. Golden Dawn, after all, worked in the Christian Hermetic tradition typical of the West. But yes, the general reader might find this somewhat boring. For those who are simply looking for a fun read about truly weird people, I recommend "The Element Encyclopedia of Secret Societies". But know what? Its author is also...John Michael Greer.